Burning Woman is a breath-taking and controversial woman’s journey through history — personal and cultural — on a quest to find and free her own power. 2017 Nautilus Award Winner in the program’s ‘Women’ category of books for and about Women’s journey. Uncompromising and all-encompassing, Lucy H. Pearce uncovers the archetype of the Burning Women of days gone by—Joan of Arc and the witch trials, through to the way women are burned today in cyber bullying, acid attacks, shaming and burnout, fearlessly examining the roots of Feminine power—what it is, how it has been controlled, and why it needs to be unleashed on the world during our modern Burning Times. Burning from within: a woman’s power—how to build it, engage it and not be destroyed by it. Burning from without: the role of shame, and honour in the time-worn ways the dominant culture uses fire to control the Feminine. The darkness: overcoming our fear of the dark, and discovering its importance in cultivating power. Lucy Pearce has given voice to what a generation of women are feeling and burning to express. This book is filled with our collective calling, and inspires women to burn with our wild, fierce wisdom and creativity, and to push forwards to fully occupy our equality. I celebrate this book and celebrate and acknowledge Lucy Pearce as a wise, wild and courageous woman who has written a very important book of our time. A must-read for all women! A life-changing book that fills the reader with a burning passion and desire for change! Lucy H. Pearce’s Burning Woman carries the torch of the sacred Feminine into the dark corners of women’s unexpressed and unfulfilled desire and power. She dares us to burn down that which does not serve life, to use our fire to transform the world. Lucy Pearce is a gifted writer, a gentle wayshower, and a fierce pioneer in these times of global transformation. In her new book, she reveals potent information to the woman reader, reminding her of her true heritage, kindling the fire within, to more fully claim our truth and embody it in our daily lives. This knowledge has been hidden from us, and we are now ready to receive it. This book is a true gift and, if you are a woman ripe for transformation, it can fan the inner flames, sparking you to own that fire and let it burn all that is false within you, revealing the power that was yours all along. Every woman should read this book! Thank you Lucy! Gripping, grounded, affirming and real. I wish I could gift every girl and woman I know a copy of this book. We deserve more than a bland flat surface description of ourselves as women — or airy fairy feminine metaphors — we are vast beyond measure and complex and we are indeed burning. Are you a woman who yearns for something more? Do you feel the seed of a hot, rebel, spirit hidden inside somewhere? A wildness you’re not sure how to set free? With Burning Woman, author Lucy Pearce brings us a living, breathing manifesto for real women. A burning hot antidote to the vague and cool tones of the endless wave of self-help and development books on the market. Digging deep into herstory, showing us the roots of our blocks and fears, sharing her own burning story, Lucy blazes the way for every woman to free the burning soul within. Take a deep breath and dive in. In an era when Western feminism seems too often about loudly celebrating woman as victim, this is a refreshing book. Yes, sometimes we get burned, but allowing the fire to fuel our strength is a far more intelligent response. Lucy’s vibrant words are a sound reminder, and a joy to read. This book is initiation by ignition. Lucy Pearce has reached into the hearth of womanhood, pulled out the hottest coals, and given us Burning Woman, a text and feminine archetype channelled just for these times. Within these pages, she dares to ask and answer fundamental questions about feminine power – why are we afraid of it? How can we claim it? What is at risk if we do? What is at risk if we DON’T? With torch held high, Burning Woman carries us across the threshold of inquiry and fear, guiding us toward our own flame of inner truth. If you’re no longer willing or able to play it safe, if you’re aching to burn bright, if you’re already dancing in the fire, read this book and source the fuel of Burning Women from every time, everywhere. Lucy burns a hole right through the fabric of our societal programming and identifies the true source of why even the most empowered women attempt to walk in their power only to hold back from fully stepping into it. 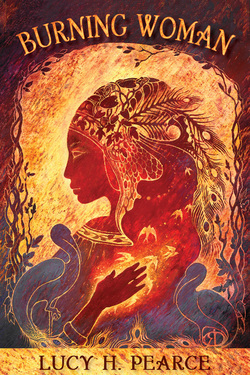 Heal the Burning Woman and we’ll see a radical shift and healing in every aspect of our world. Burning Woman is a marvellous, impassioned, emotional read. This book will root you back to your woman power and inspire you to rise up with other burning women to change the world. I encourage you to read Burning Woman TODAY! The world needs our collective female flames right NOW. Thank you Lucy Pearce for this tremendous book. We are delighted to announce that our 2018 title, Medicine Woman: reclaiming the soul of healing by Lucy H. Pearce won silver in the Women category of the Nautilus Book Awards. Her second year in a row winning silver in this category - the year before Medicine Woman's sister book, Burning Woman received that honour. 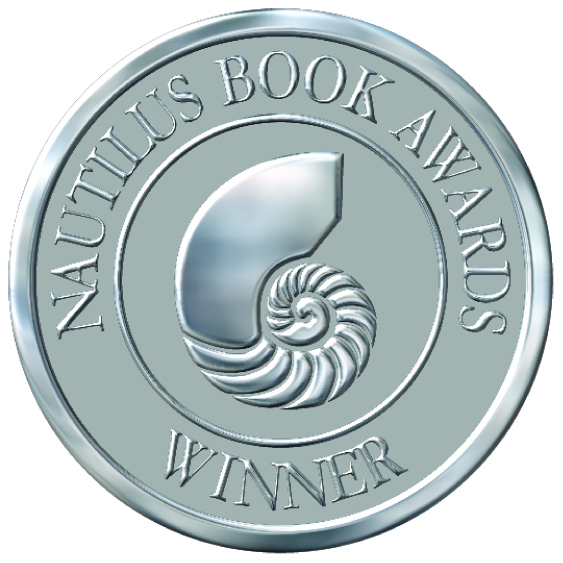 An award is always exciting, Nautilus are particularly special as they are Better Books for a Better World - focusing on life-changing, paradigm-shifting titles. Medicine Woman is the eagerly-awaited sister book to Nautilus Silver-Award-Winning Burning Woman from Amazon bestselling author, Lucy H. Pearce. This audacious questioning of the current medical system’s ability to deal with the modern epidemic of chronic illness, combines a raw personal memoir of sickness and healing, woven through with voices of dozens of other long-term sick women of the world and a feminine cultural critique that digs deep into the roots of patriarchal medicine. Pearce takes us from its ancient Greek roots, through the influences of the Enlightenment and Christianity, the wholesale destruction of the wise woman tradition and Western colonial destruction of native medicines to the current technocratic, capitalist model of medicine. · Why chronic illness, mental health issues, medical prescriptions and costs are rising exponentially. · Why women are the major sufferers of the modern epidemic of auto-immune conditions. · Why women are twice as likely to be medicated for depression. · Why women tend to be taken less seriously by medical professionals. Medicine Woman voices a deep yearning for a broader vision of what it means to be human than our current paradigm allows for, calling on an ancient archetype of healing, Medicine Woman, to re-vision how we can navigate sickness and harness its transformational powers in order to heal. Be the first to hear of new titles, events and discounts.